Choose from a wide range of courses across five faculties. Undergraduates may select up to four courses per semester. Postgraduates may take a reduced course load of two to three postgraduate courses. In most cases, you may not take more than four courses. 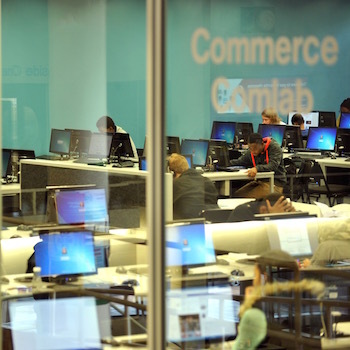 The commerce faculty is the largest of all the faculties at UCT and continues to expand the programmes it offers its students. Commerce degree programmes prepare students for the personnel needs of the fast-growing world of financial service industries and prepare them for participation in the global economy. The Commerce Faculty receives strong support from international agencies, and remains committed to engagement with the African continent. Commerce degrees and diplomas prepare you for the employment needs of the expanding world of business and professional financial services and equip you to participate in the global economy. Download the postgraduate handbook here. In the industrial revolution – the age of the foundation of engineering – there was an assumption that the planet would always have sufficient resources to provide. However, we are now required to develop skills to take into account an understanding of the world – one that recognises that resources are limited; one that appreciates the complexity and inter-relatedness of systems. Instead of a straight line leading from ‘here’ to ‘progress’, there is a need to think about multiple pathways and plurality, diversity and difference. It is the connections and reconnections between people and ideas, networks and flows and the richness of diversity and multiplicity that are key. Against this backdrop of a changing world, the Faculty of Engineering & the Built Environment (EBE) is determined to build on the strengths of the past and to embrace the challenges of the future facing Africa and the global community. Download the undergraduate handbook here. 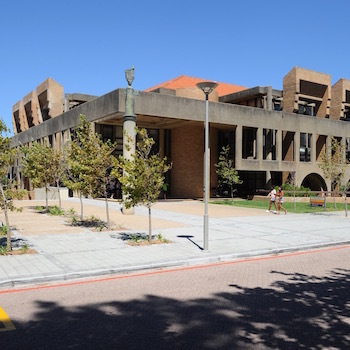 With close to 6 000 students, the Faculty of Humanities is the second largest faculty at UCT. Three-quarters of our student population is at undergraduate level. The faculty comprises 16 vibrant academic departments located in three main clusters: the arts, the social sciences, and the performing and creative arts. Common to all is a focus on the human condition, in all its dimensions. With four DST/NRF SARChI Research Chairs, two Mellon Research Chairs as well as 86 new and renewed NRF-rated researchers, the faculty enjoys a strong tradition in interdisciplinary research and teaching. Our academics equip students with skills that are crucial for engaging with the material and non-material aspects of being human. 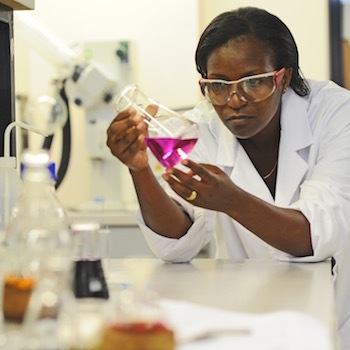 We produce exceptional graduates who possess imagination, insight, mental agility and analytical skills. We prepare young people for a variety of career paths in the public and private sectors, in the media space, in the NGO sector and in research and academia. The law faculty attracts excellent students from diverse backgrounds, and this makes for a rich learning environment. Our graduates are highly sought after. Student initiatives such as the Social Justice Seminars and LAWCO are recognised as excellent, and the student leadership (both the Law Students’ Council and the Black Law Students’ Forum) are very strong. Unique to our LLB is the incorporation of 60 hours of community service so our students graduate with a sense of their role in society. In line with our view that teaching should be research-led, the faculty has excellent staff, both as teachers and as researchers, and as leading authors on their subjects. The first DST/NRF SARChI Research Chair in Humanities was given to the faculty; two professors are A-rated researchers and fourteen are NRF-rated researchers. Two of our staff members have been awarded Distinguished Teachers' Awards and in 2009 the faculty won two international teaching awards. Last but not least, the excellent law library is linked to major electronic databases and houses 284 top-class journals and more than 85 000 books. Download the faculty handbook (undergraduate and postgraduate) here. The science faculty is, by various measures, the best in the country: it has the largest number of scientists who have been rated through a rigorous process of international evaluation, and within this group it has the largest number who are acknowledged to be world leaders in their fields, and who hold an “A” rating. 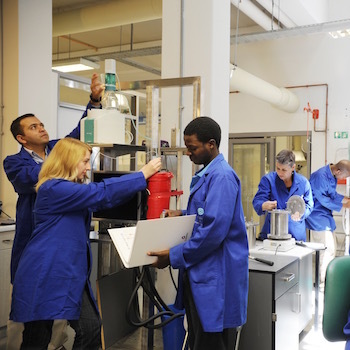 Thus undergraduate and postgraduate programmes benefit by being developed and taught side-by-side with cutting-edge research. This course explores debates around gender and sexualities as a way both of deepening knowledge about the politics of gender continentally, and of exploring the complexity of different African contexts’ engagement with broad discussions on sexual rights. The course is divided into two sections that broadly focus on South Africa, Kenya and Uganda. This is a beginners’-level course covering the fundamental principles of African dance and music. 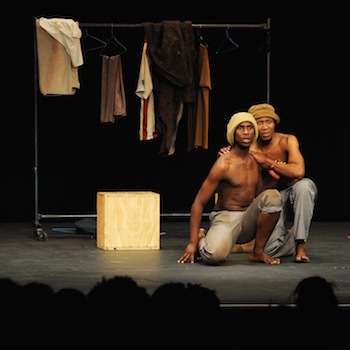 It is located in Intsika: an open-ended Pan African dance technique that was developed by Maxwell Xolani Rani in 2002. The technique draws from key movements from all over the African continent as well as the diaspora. There are two objectives in the course. In the first place, we consider the nature of deviance, crime and criminality in South Africa, from both historical and current viewpoints. We consider questions such as: How much crime is there in South Africa? Who are the victims of crime and who are the offenders? Why is crime in South Africa so violent? This discussion will draw freely from international, criminological debates and locate those debates within a developing context. This course focuses on urban change in South Africa, drawing together historical and contemporary analysis of social, political, economic and environmental dimensions of the South African city. The course includes a section on the historical geography of the South African city to contextualise contemporary challenges, and explores issues of race and gender politics in South African cities, as well as challenges of service delivery and natural systems. This conceptual material is grounded in field-based experiential learning in Cape Town. The course presents an overview of international economics with a focus on trade theory and international finance. The course covers many topics including the determinants of international trade flows, trade policy, exchange rates and open-economy macroeconomics and international macroeconomic policy. The course draws upon empirical evidence to verify whether the theories taught in the course are relevant in explaining South Africa’s performance in the international economy. By the end of the course, students will have an in-depth understanding of international economics and its application to the South African economy. Peace, war and international security is an area in which economists are often conspicuous by their absence, to a degree that rivals the importance of economic issues to the problems at hand. This course considers the contribution that economics has and does make to the understanding of conflict, war and peace, with a focus on Africa. It covers topics such as: the causes and economic effects of military spending; the economic causes and effects of conflict and terrorism; the economics of post conflict reconstruction; the international arms industry; and the international arms trade. This course aims to provide law students with an understanding of how a plurality of laws operate in South Africa, both at official and unofficial levels. By drawing on – among others – legislation and case law, attention is paid to historically marginalised religious, cultural and customary laws including personal and family laws emanating from (but not limited to) Islam, Hinduism, Judaism and traditional and non-traditional customary laws. Students are encouraged to consider how, if at all, non-dominant systems of personal and family laws can be addressed within a secular legal framework and what the human rights implications of that are (or would be). The aim of this course is to introduce students to selected debates around the role of law in development, specifically in the context of labour-market regulation in the era of globalisation. Topics may include developments in case law, social security principles and implementation, statutory and extra-legal social dialogue arrangements, the harmonisation of labour standards and social policy in Southern Africa, workplace discrimination, affirmative action, freedom of association, HIV/AIDS in the workplace, dispute prevention and resolution, and health and safety.